The First Home Buyers Assistance scheme is a NSW Government initiative which provides exemptions or concessions on Stamp Duty for eligible NSW first home buyers. This includes vacant land on which you intend to build your first home. Eligible purchasers buying a vacant block of residential land to build their home on will pay no Stamp Duty on vacant land valued up to $350,000, and will receive concessions on duty for vacant land valued between $350,000 and $450,000. The contract and the transfer must be for the purchase of the whole of the property. previously received an exemption or concession under First Home—New Home. At least 1 eligible purchaser must occupy the home as their principal place of residence for a continuous period of 6 months, commencing within 12 months of completion of the agreement. (Where an eligible purchaser was a member of the permanent forces of the Australian Defence Force and all purchasers were enrolled on the NSW electoral roll, as at the transaction date, then all purchasers are exempt from the residence requirement). First home buyers building a new property may be entitled to a $10,000 grant on homes worth up to $750,000. First home buyers purchasing a brand new property worth up to $600,000 may be entitled to a $10,000 grant. you have not previously received a First Home Owners Grant in any State or Territory. From 1 July 2017, those eligible to participate in the first home super saver (FHSS) scheme have been able to make voluntary concessional (before-tax) and non-concessional (after-tax) contributions into their super fund to save for their first home. Existing superannuation contribution caps still apply to those participating in the scheme. For example, the annual financial year cap on concessional contributions remains at $25,000. 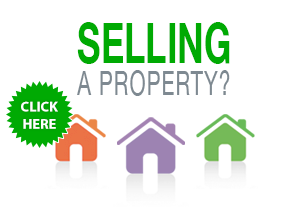 Not have previously owned property in Australia, including an investment property. Not have previously released FHSS scheme funds. 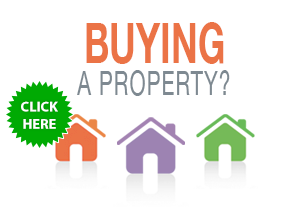 Either live or intend to live in the premises they are buying as soon as practicable. Intended to live in the property for at least six months of the first 12 months they own it, after it is practical to move in. In certain circumstances the commissioner of the taxation may determine that someone has suffered a financial hardship (as specified by regulations) and make an exception to the qualification criteria. From July 1 2018, participants in the scheme can apply to have their FHSS scheme contributions, along with associated investments earnings, released to assist with purchasing their first home. Participants, who must be 18 years or older, can apply for the release of voluntary contributions up to maximum on $15,000 from any one financial year and $30,000 in total across all years. The released funds will be taxed at the individual’s marginal tax rates less a 30 per cent offset. If a couple buy a house together, both can take advantage of the scheme, thereby potentially amassing up to $60,000 between them to put towards the purchase of their first home. The federal government believes that “most first home buyers will be able to accelerate their savings by at least 30 per cent using the scheme”. If you would like to know more about these benefits, please contact the Office of State Revenue or our office.